Be the first to share your favorite memory, photo or story of Lloyd . This memorial page is dedicated for family, friends and future generations to celebrate the life of their loved one. Lloyd D Talkington, age 84, of Pittsburgh, formerly of Doddridge, WV, passed away on December 4, 2018. 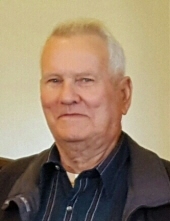 Lloyd is survived by his beloved wife, Donna (Orr) Talkington; Three Daughters, Debra D. (Ron) Sauer, Dawn R. Talkington, Beth Ann Nation; Three Sons, Harlen W. (Chin) Talkington, Carl E. Talkington; Lloyd Dean (Nalani) Talkington; 11 grandchildren and 9 great-grandchildren; as well as many nieces, nephews, and friends. Visitation will be held on Friday December 7, 2018 from 2pm-4pm & 6pm-9pm at the JEFFERSON MEMORIAL FUNERAL HOME, INC., 301 Curry Hollow Rd., Pleasant Hills, 15236. A service will be held on Saturday December 8, 2018 at 11am in the Funeral Home Chapel. Condolences may be left at www.jeffersonmemorial.biz. To send flowers or a remembrance gift to the family of Lloyd D Talkington, please visit our Tribute Store. "Email Address" would like to share the life celebration of Lloyd D Talkington. Click on the "link" to go to share a favorite memory or leave a condolence message for the family.